Most purchases over £150 are delivered carriage free to UK main land addresses (excluding all trucktops, pickup bed liners, glass products and other large items). Our free of charge economy delivery service is a 3 day service and we only use the UK's best delivery companies. For a small upgrade your order will be prioritised and sent ‘Priority Express Overnight’ before 1.00 pm, which means orders will be delivered the following working day from dispatch (This excludes weekends and bank holidays). Please note that all our courier deliveries require a signature on delivery. Generally a charge is applied to orders under £150.00 or to products containing glass or spray painted finishes in the case of truck tops.Typically glass items are charged at £15.00 plus vat & truck tops are charged at £42.00 plus vat where these are delivered to UK mainland address. Off-shore and remote areas can incur additional charges. This is to cover the extra packaging required to ensure those products arrive in good, unmarked condition and to cover the additional in transit insurance we incur. At 4x4at all our 4x4 accessories, tops and wheels are packed by our dedicated packing team to a very high standard. Our aim is to ensure your goods arrive in first class condition. Although we go to great lengths to protect your items there may be an occasion when goods become damaged in transit. Please always inspect your goods before signing for them. If there is any sign of damage or if you are not given time inspect the goods please sign for as damaged. This is the only way that the goods will be insured against damage by the courier. Signing for as unchecked releases the carrier from their responsibilities. We use a host of international couriers and send goods to Europe daily. We even ship as far as Australia if required. International delivery costs are given at the check-out stage when ordering on-line. Add the required items to your basket, hit check-out and once you've entered your details and country the Int'l shipping fees will be calculated for you. Once your order is dispatched you will receive an email notification, providing you've entered a valid email address this will include your order details and a tracking number. You can then check your order delivery progress online. 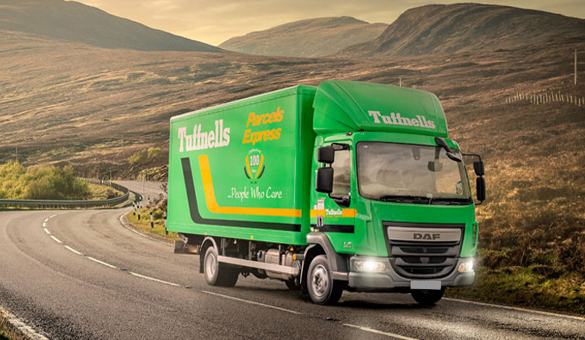 If you order was dispatched using Tuffnells you can follow this link. Click the 'Track & Trace' link on the top right of the page to track your parcel. No returns will be accepted without prior authorisation. To find out more about our returns procedure please check our terms and conditions.